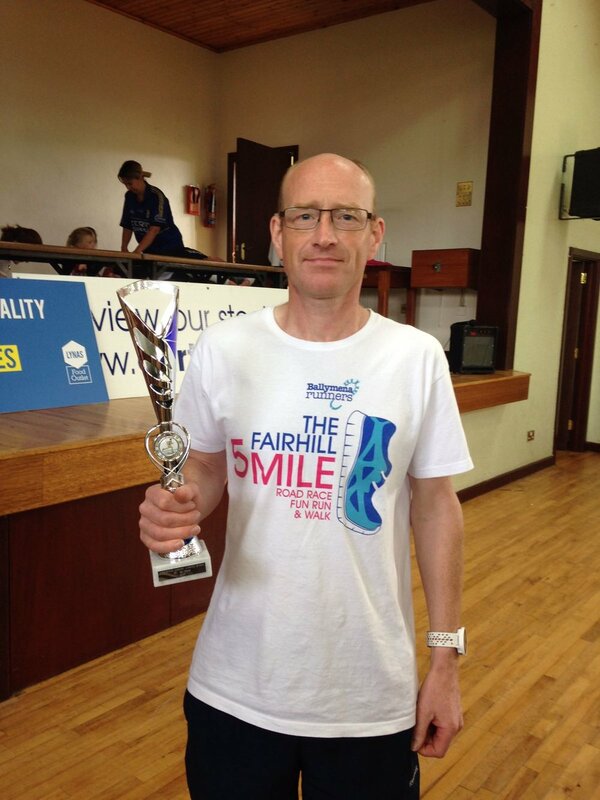 What a week it has been for Ballymena Runners! It began with the club showcasing once more our deep pool of talent with victory in the Inter-Club in Larne on Tuesday night and ended with double bronze at the World Championships in Slovakia. Ballymena Runners sweep the board in Larne! Once again Ballymena Runners demonstrated the talent within the club by sweeping to major success at Tuesday night's Inter-Club event in Larne. Going into the event the club had several goals, namely to claim both male and ladies team prizes and to secure as many podium places as possible. And almost every box was ticked! In what was an amazing night of success, James Hamilton and Paula Worthington not only claimed top spot in their respective races but the club filled five out of the six podium positions on offer. In the Men's 5-miler James crossed the line in 27:22, ahead of East Coast's Matty Hewitt while Ballymena's Ben Morrow finished third. The success continued in the team event which counted the leading runners from each competing club. The men won by 38 points thanks to superb performances from James Hamilton (1st), Ben Morrow (3rd), David Law (6th), Jason Wilson (7th), Michael Bennett (9th) and Richard Agnew (12th). And the ladies were just as successful with Paula Worthington (1st), Gillian Wasson (2nd), Geraldine Quigley (3th) and Judith Brown (6th) all combining to claim the honours. Huge congratulations to Gillian Wasson on picking up a couple of bronze medals at the World Masters Mountain Running Championships in Slovakia on Saturday. Held in Pruske, the race is continuously uphill covering 9.6km with a climb of over 600 metres. Gillian competed in the F40 category, coming third and, along with Lagan Valley's Hazel McLaughlin, won team bronze for Ireland. Connor Reid and Tim Lowry crossed the Irish Sea at the weekend to take on the not insignificant challenge of Britain's highest mountain, the iconic Ben Nevis. Competing in the Ben Nevis Race, the intrepid duo were faced with an ascent of over 4400ft to the summit before returning to Fort William having covered ten miles of steep, technical trail in the process. Connor came home in 91st place overall, recording a time of 2:06:16 while Tim crossed the line in 221st (out of 489) in 2:24:49. Well done to both for their herculean endeavours. Ballymena Runners had a handful of athletes in action on Sunday in the Waterside Half Marathon, the 36th running of an event which started in Ebrington Square and followed the River Foyle whilst taking in the Foyle Bridge, Peace Bridge before finishing on the track at St. Columbs Park. Linda Petticrew led the local contingent home in 1:42:16 followed by Hugo Carlin (1:52:05), Pamela Kane and Andrew Hutchinson (1:54:54) and Roy White (1:57:29). Also donning club colours for the event were Harry Armstrong, Adrian Dodds and Lynsey McKeown. Congratulations to Chris Davies on his PB at Sunday's Laganside 10k, an event which started in finished in Ormeau Park whilst hugging the Lagan Towpath for a couple of laps and the latest in the season long Novosco Grand Prix. Chris came home in 47:59, the third club runner to finish behind Paula Worthington and Geraldine Quigley. Kelly Courtney, Gerry McClintock, Martin Harris and Parveen Akhtar (who also claimed a PB) were also in action. Well done Parveen! Ballymena Runners brought home the silverware in both the 10k and 5k events in Rasharkin's 'Run for the Hills' on Saturday. James Turtle claimed top spot in the 5k, crossing the line first in 17:54, while Alex Brennan led the field in the 10k, clocking in at 38:47 some 90 seconds or so quicker than his nearest challenger. Well done to both!